Bottnaryds Kyrka is a wooden church in Bottnaryd. It was first built in 1666, but was demolished. Later, attempts were made to rebuild it in 1667, but due to poor construction, work seized. Finally, in 1693, the new structure was built. The entire church is built in wood. There is also a bell tower that dates back to 1686, with bells and the clock from the Middle Ages. The clock was cast in 1930. A few artifacts of this church are worth noting, for example, the ecclesiastical chair which is from 1670, and the organ from 1749. 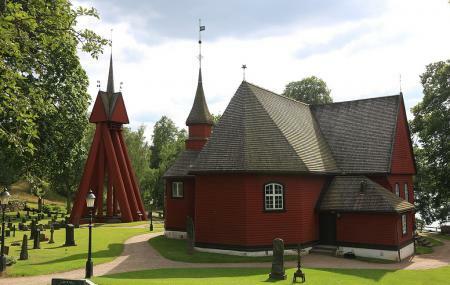 Try the best Bottnaryd trip planner to visit this Bottnaryds Kyrka as well as many others. Your worry of where to stay in Bottnaryd is sufficed by bunch of interesting and comfortable lodging options in the Bottnaryd like MullsjÃÃÃÃ‚‚ƒÂ¶ FolkhÃÃÃÃ‚‚ƒÂ¶gskola, MullsjÃÃÃÃ‚‚ƒÂ¶ Camping, Vip MullsjÃÃÃÃ‚‚ƒÂ¶ and Engelska Villan. Explore the best Bottnaryd vacation packages that will take to you important landmarks of the city! For getting in, check out how to reach Bottnaryd. Love this? Explore the entire list of places to visit in Bottnaryd before you plan your trip. Fancy a good night's sleep after a tiring day? Check out where to stay in Bottnaryd and book an accommodation of your choice.